If you came to Lakeshore in the first couple of years after the storm, you probably helped build a shed or two, or observed other teams doing the same. 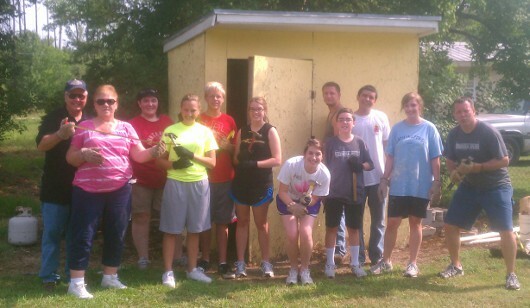 We literally build hundreds of sheds for local residence as they began to put their lives back together. As folks lived in FEMA campers or other temporary housing, the sheds kept the little provisions they had dry from the weather. Others were able to outfit the sheds with washing machines and dryers, and others kept building materials as they constructed their new homes. 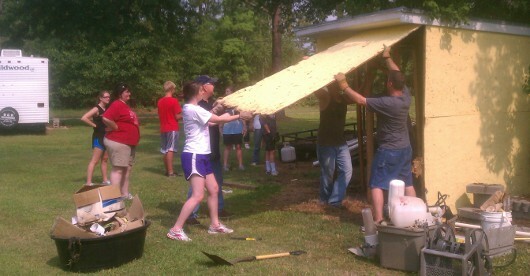 We constructed many of these sheds out of lumber we milled from Katrina downed trees. Sided with nothing more than painted OSB, the little storage units served as a temporary necessities. Six+ years later, many of them have started to deteriorate, as expected. This week we demolished one that had far surpassed its usefulness. One of our church members, a widow in Lakeshore, thanked the volunteer team this week for removing the Katrina reminder from her back yard. 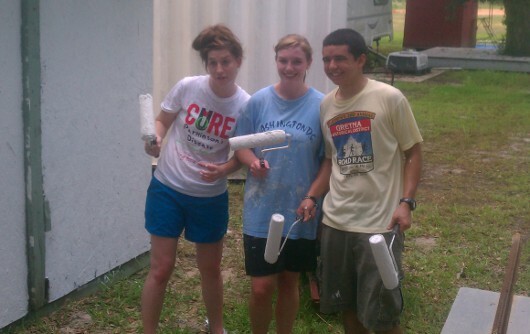 This same team, a youth group from Kenner Louisiana, also gave three of our sheds on the church property another coat of paint in an attempt to prolong their longevity.